Janelle Lumsden was just a Brownie in 1954 when the old Gerringong School of Arts was officially reopened as the Gerringong Scout and Guide Hall. She remembers the occasion well, because she saw her father, builder Wal Lumsden, walk up the front steps, dressed in a suit, to receive a Certificate of Appreciation from the Scout Commissioner for the work he’d done renovating the building. 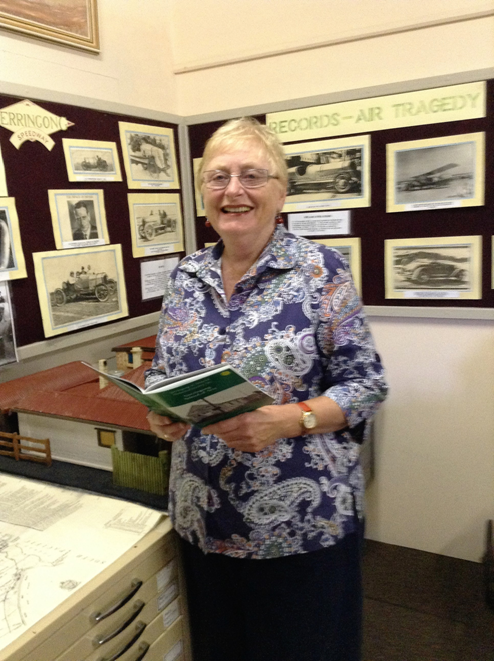 So she was delighted to be invited to the launch of a new history of Gerringong School of Arts which was held in Gerringong Museum recently. Tony Butz, a member of Gerringong and District Historical Society, has worked tirelessly with others to produce a new publication which follows on from the late Clive Emery’s earlier booklet on the School of Arts. That publication celebrated the centenary, 1883-1983, and this booklet seeks to provide more narrative and continue the story. The project was supported by Arts NSW’s Cultural Grant program in conjunction with the Royal Australian Historical Society. At the launch President Helen McDermott introduced Emeritus Mayor Sandra McCarthy, who spoke of the important role the School of Arts had played in Gerringong’s community and social life over many years. Others present were able to recall events which had taken place in the building. Margaret Lumsden, Janelle’s cousin, remembered her mother talking about roller skating and euchre nights, balls and dances, and telling her that her father, Bruce, often played the piano and acted as MC for social functions. It is this social history that the book seeks to record. Kiama Council is seeking Federal regional funding for an upgrade of the building to provide a combined library, museum and community hub for Gerringong, but as yet its efforts have not been successful despite election pledges. 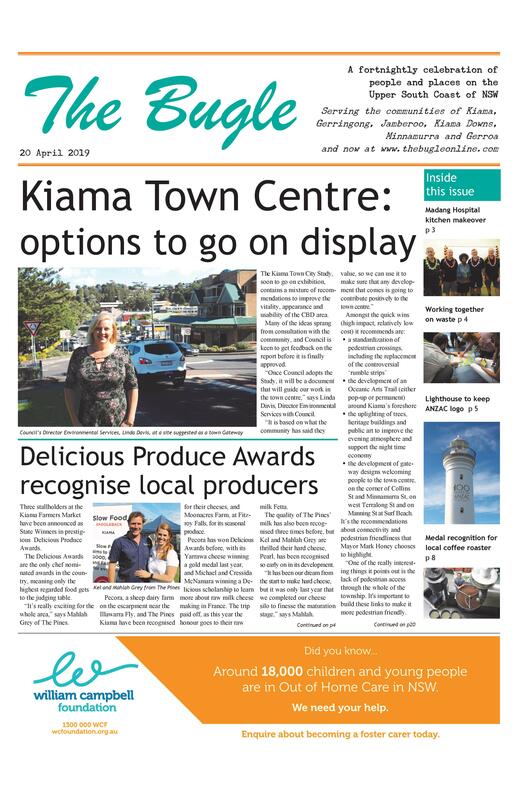 Members of the Society hope this plan will not be jeopardised by the proposed merger of Kiama Council with Shoalhaven Council. Details: Copies of the Booklet are available at Gerringong Museum for a small price. The Museum is behind the School of Arts in Blackwood Street, and is open Saturdays and Sundays between 1 and 4 pm.